Are you a local taxi company? Get seen on the Cardiff Airport Guide today. FlightLink Wales is the official taxi provider at the airport, you can order one or manage your booking at the boking desk in the Arrivals Area as well as any planned minibus trips. For the more ecological of us, they also offer a GreenLink travel service if you’re happy to share the journey with fellow passengers and split the cost. Below is a collection of other Cardiff Taxis we recommend: Please note that 084 numbers will cost up to 7p per minute plus your phone company’s network access charge to call and mobile numbers may be charged between 10p-20p per minute from landlines. Reach Thousands of Highly-Targeted Customers each month with a Top Advert on our Guide. Dominant Position Including; Highlighted Header, Picture and Additional Space for Description. Suitable for Taxi, Minibus, Coaches and Executive Travel Services. 10 Minutes from Cardiff Airport, Cars, Estates, People Carriers and 8 Seater Mini Buses. Any destination in the UK, Meet And Greet Service, Competitive Prices, All Drivers and Vehicles Licensed by The Vale of Glamorgan Council. Lady Driver on Request. Where is the taxi rank at Cardiff Airport? The taxi rank at Cardiff Airport is located just outside of the arrivals exit. It should be well sign-posted so keep an eye out for the signs. Address is: Outside Arrivals, Cardiff Airport, Rhoose, Cardiff, Wales, CF62 3BD. If you’re at the airport and need to book a cab… head to the bookings desk in the arrivals hall. It was announced in September 2015 that Flightlink Wales were to be the official operator at Cardiff Airport and they have a bookings desk available so feel free to talk to one of the customer service representatives. Haven’t booked with Flightlink Wales? Don’t worry, other taxi firms can pick you up or drop you off at Cardiff Airport but they must be pre-booked, so it’s worth checking on the phone with your taxi firm ahead of the trip. A Cardiff Airport taxi to the Cardiff city centre costs between £30-£45, depending on the location and type of taxi. Minibuses (six seats or larger) are charged at approximately double rate. If your taxi is required to park at the airport, the fee will be added to your total fare. Drop-off is free at Cardiff, and designated zones are located in front of the main terminal for 10 minutes and in the Long Stay 1 Car Park for 20 minutes. However, pick-up must be conducted in the short stay (under 24 hours) car park. Your driver can wait free in the short-stay car park for a maximum duration of 10 minutes. Parking thereafter is charged at £2.50 for up to an hour. Vehicles are not allowed to wait on airport approach roads. There are plenty of minicab firms at the airport (and in the city centre itself) but caution is advised when using these services, as many private hire firms adhere to their own pricing regulations, and can charge in excess of the prices quoted in this article. Hiring an Hackney carriage is often more expensive than specialist transfer firms. Luggage premiums may be charged for any item in contravention of airline specifications; in other words, if you can’t take it on a plane, it’s going to cost extra. If you plan to carry very large suitcases or unwieldy objects like a bicycle, for example, be sure to inform the taxi company during the booking process. * Please note that these prices are only estimates as of August 2017. Fares can vary depending on routes, taxi firm rates and time of journey. Please contact a firm directly for a quotation. If you hire an ordinary saloon taxi, it will take you from A to B, but if you want something a little extra, consider contacting an elite Cardiff Airport taxi firm. These companies are readily available around UK airports, and thrive on business travellers. For more advice on travelling for business, see our blog. A complimentary meet-and-greet service will ensure that you do not get lost at your destination airport, whilst a newspaper and bottled water will keep you happy during the journey itself. All transfer firms operate a 24-hour service. Note that this is not replicated throughout Cardiff’s minicab and hackney carriage firms. Sightseeing and golf tours are also catered for by most transfer specialists, regardless of their clientele. How do I hire a private Cardiff Airport taxi? We always recommend booking in advance if you’re looking to hire a Cardiff taxi and know what date and time you’ll need it. That way, you’re more likely to save on price. If you’re less sure or have too much to organise on your break away, you can find an array of Cardiff Taxis at the airport taxi rank and you can hire them as an when you need them. Something to note: if you need to hire a specific taxi from or to Cardiff Airport, it’s worth calling the taxi company to arrange the vehicle. If you need a cab that’s in high-demand or specicalist, they may not be immediately available such as 16 seater minibuses, e-class cabs or special orders like wheelchair friendly or female drivers. This isn’t exclusive to Cardiff Airport taxis or Cardiff taxis in general, it’s true of most taxi and transfer services nationally. Founded in the Neolithic, and championed by Romans some 4,000 years later, Cardiff is one of the oldest settlements in the UK. The modern city sits on the north bank of the Bristol Channel, close to the Anglo-Welsh border. Cardiff gained fame and fortune in the early 21st century exporting coal to foreign markets, and it achieved capital status in 1955. Today, the city is best known as a hub of international sport, hosting major rugby and football tournaments. Cardiff was handed the prestigious European City of Sport award in 2009. You can also visit the famous Cardiff Castle and the norman fort. Dating back to Roman times, you can walk in the steps of ferocious warriors, visit the halls, take a tour of the Castle Apartments and wartime shelters. Getting a cab there from Cardiff airport will cost around £30 – it’s well worth the visit. As the Welsh capital, Cardiff is a paradise of town halls and important buildings, as well as being a magnet for art enthusiasts. The National Museum, located 15 miles from the city airport, is a great place to exercise your curious mind. The price of a Cardiff Taxi from Cardiff Airport to the centre of Cardiff ranges from £35 to £200 depending on what kind of service and how many seats you need. (£200 is for a 16 seater minibus from Cardiff Airport, so if you’re splitting the journey between a group of 16 of you, that’s only £12.50 per person). The Evolution of Wales exhibition displays some of the most amazing dinosaur fossils in the UK, hinting at a submarine past where giant fish ruled the waves. Best of all, the museum is right in the centre of Cardiff and is free to enter. Seven more museums and art galleries populate the Welsh capital. Exhibitions range from the coal, slate and wool industries, to an exposé on the Roman Legions, men that spent centuries plodding the ramparts at Caerleon fortress, Newport, some 17 miles from Cardiff. 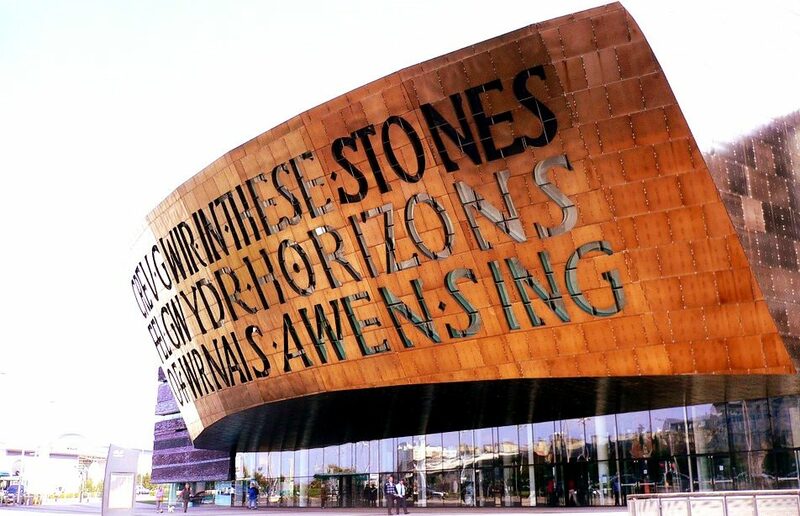 The Millennium Centre is also worth a look, especially if you are fond of the dramatic arts – dance, music and theatre. For sports fans, the Principality Stadium is a superb venue, hosting concerts, sporting events and private functions. It’s one of the most popular places in the UK to hold sporting events and most notably was home to several Rugby World Cup 2015 matches. About 14 miles separate the airport and the stadium, with an average fare of £45. The new Cardiff City Stadium is within a mile of its bigger brother, the Principality Stadium, on the west side of the city where it is home to the Cardiff City Football Club. Cardiff Taxis often take sportsmen and women between the airport and the football clubs close to the city centre, the price for the journey will be around £35 for a saloon or estate taxi. 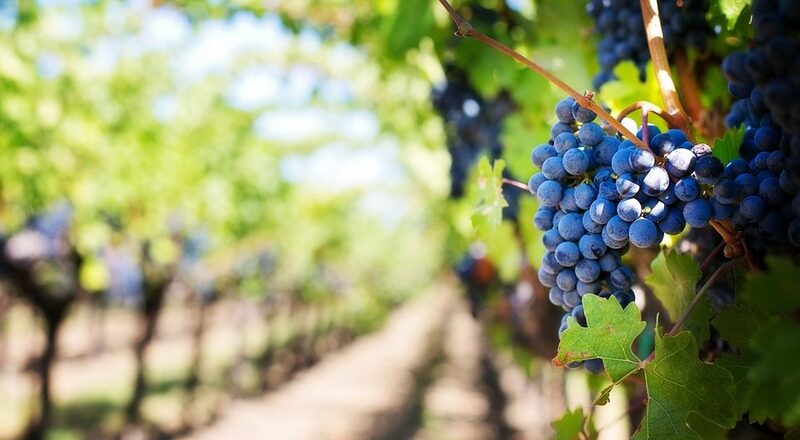 Sport aside, Cardiff has an unusual industry operating within its midst – grapes. The Llanerch Vineyard thrives in the Welsh climate, providing visitors with bed and breakfast facilities, fine dining and a food school, with enough wine to flood the Mediterranean. The Vineyard sits between the towns of Hensol and Miskin, just eight miles from the city centre. For a full list of attractions, local amenities and places of interest, see Cardiff Airport’s Local Attractions, all of which you can visit via an airport taxi.